Married at First Sight Australia's Heidi Latcham quickly became known for her signature curly hair on season 6—but she hasn't always sported those trademark blonde ringlets. "I've had so many hairstyles over my life. I've had a shaved head, like a No. 1, before. I've had a short black bob. For years, I tried to straighten it," she told E! News. "For the first time at my MAFS wedding, lots of my friends saw my curly hair for the first time." "I wash it about once a week and put diffusing product in it and dry it," she told us. "And then every day I put a little more product in it and dry it. But by the end of the week it goes in dreadlocks, so I need to go in the shower and brush it out with conditioner then start the routine again." "We split about three weeks after she moved in with me," Mike, 43, told 9Honey Celebrity. "I imagined that the freedom and independence we both lacked in the experiment would make our lives easier. I simply couldn't make Heidi happy and at this point we decided that we would be better to leave it there and remain friends. It was a difficult period for us both." But Heidi seems to be doing just fine now. The bubbly presenter shared a swimsuit-clad Instagram pic on April 11 at a photoshoot with co-star Martha Kalifatidis, joking they were "getting ready for the ‘Single Ladies' video clip". 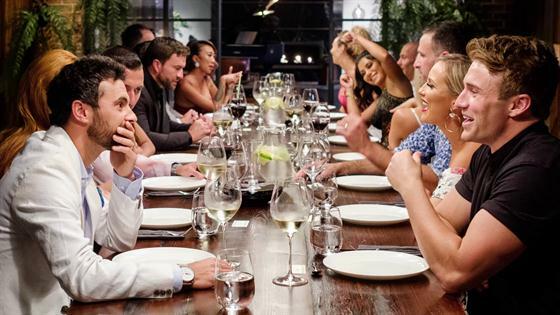 Married at First Sight may be over until 2020, but you can feed your Aussie reality TV drama needs with the latest Bachelor in Paradise goss for now.